The ten finalists in our festival for quantum-inspired short films are showing at local and international events. Some 1000 visitors saw the Quantum Shorts films at Singapore's ArtScience Museum, 25-28 February. Screening events have also been held in Canada and will happen in the UK and Australia. "It was funny and fab". "Mind boggling and sets you thinking." "It was really unique to learn through the films." These are comments from visitors to the Quantum Shorts event at the ArtScience Museum in Singapore, a screening of ten short films on loop over four days, 25-28 February. The ten films are finalists in the Quantum Shorts festival organised by CQT with media partners Nature and Scientific American, and international scientific partners and screening partners. The ten shortlisted films were chosen from a total of 203 submissions received during the festival's 2016 call for entries. The selection was made by a panel of scientists and media experts. Some of the finalists are dramatic, some funny, some abstract. Some are live-action film, some animation. Each is under five minutes long. For making the shortlist, the filmmakers receive a $250 award, a one-year digital subscription to Scientific American and certificates. The festival's top prize of US $1500 and runner-up prize of US $1000 will be decided by a panel of eminent judges. The additional People's Choice prize of $500 will be decided by public vote on the shortlist, with voting open until 26 March. Prizes will be announced after the vote closes. 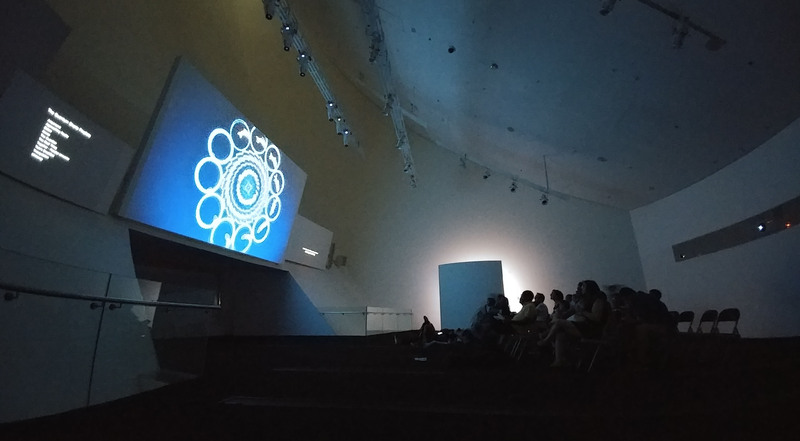 The screening of the films at the ArtScience museum drew almost 1000 visitors over four days. The first day of the event featured an introduction to quantum physics by CQT's Dagomir Kaszlikowski and a Q&A session alongside the film screenings. Each afternoon CQT also had a physicist-in-residence at the screening to answer visitor questions. The films have also been screened at two events in Canada on 23 February. One was held at the Institute for Quantum Computing at the University of Waterloo, a scientific partner of Quantum Shorts, and another at Sciecne World at TELUS World of Science in Vancouver, Canada, in conjunction with a quantum exhibition. Next the films will be screened at the Glasgow Science Centre, UK, on 17 March. This event organised by QuantIC, the UK Quantum Technology Hub in Quantum Enhanced Imaging, is part of the Glasgow Short Film Festival 2017 and British Science Week 2017. The final screening before the prizes are announced will be 24 March at Queensland Art Gallery | Gallery of Modern Art in Brisbane, Australia. This screening is organised by festival partner ARC EQuS during the World Science Festival Brisbane. UPDATE: Find out which films claimed the top prizes and what the judges had to say about them on the Quantum Shorts website.